Item # 311873 Stash Points: 3,995 (?) This is the number of points you get in The Zumiez Stash for purchasing this item. Stash points are redeemable for exclusive rewards only available to Zumiez Stash members. To redeem your points check out the rewards catalog on thestash.zumiez.com. 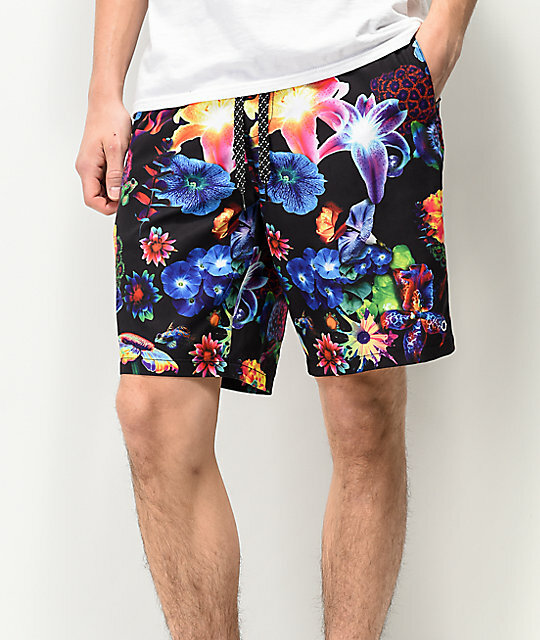 Trip out on the beach or poolside with the Grom Floral Black Boardshorts from Empyre. 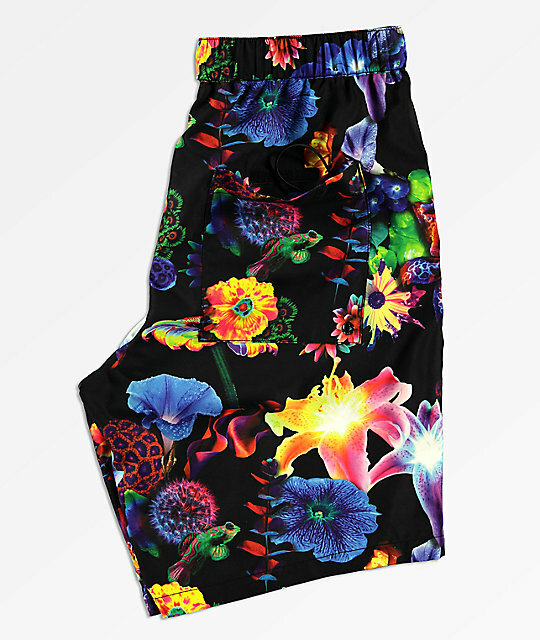 Coming in a black colorway with a crazy, neon tropical flower print, these shorts offer up a look that will turn heads. 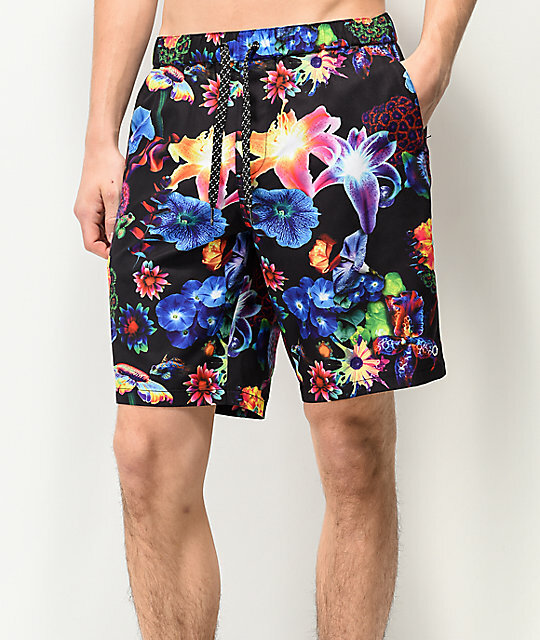 A thick elastic waistband with a drawstring, two slash hand pockets with zip closure, and a pocket on the right seat with hook and loop closure, creates a pair of shorts that are one-of-a-kind. 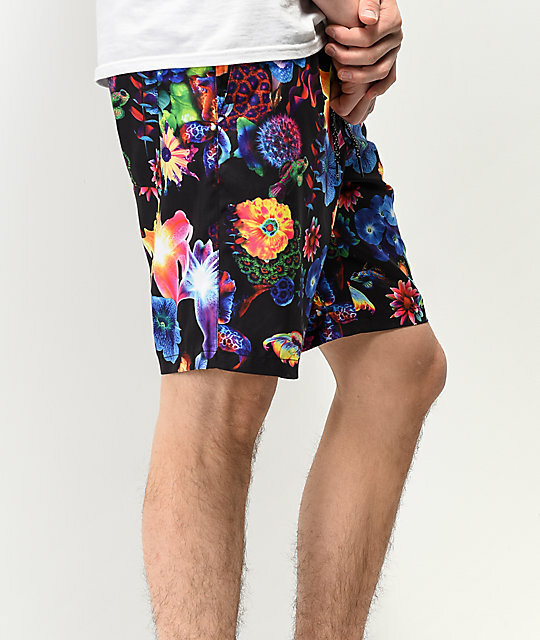 Grom Floral Black Boardshorts from Empyre. Thick elastic waistband with adjustable drawstring. 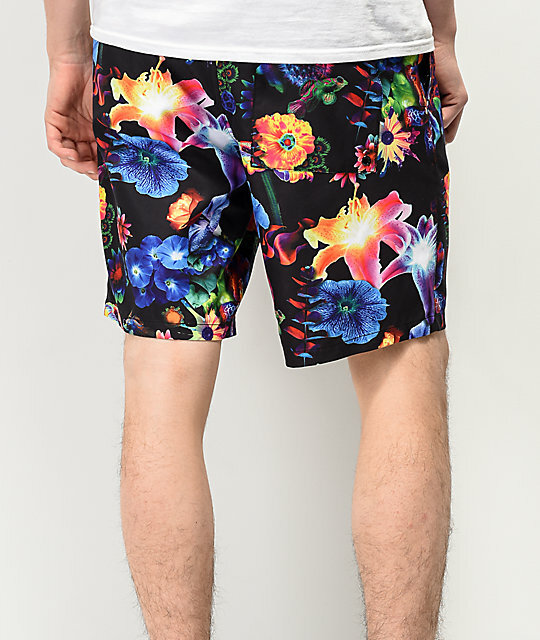 Black with neon floral pattern throughout. 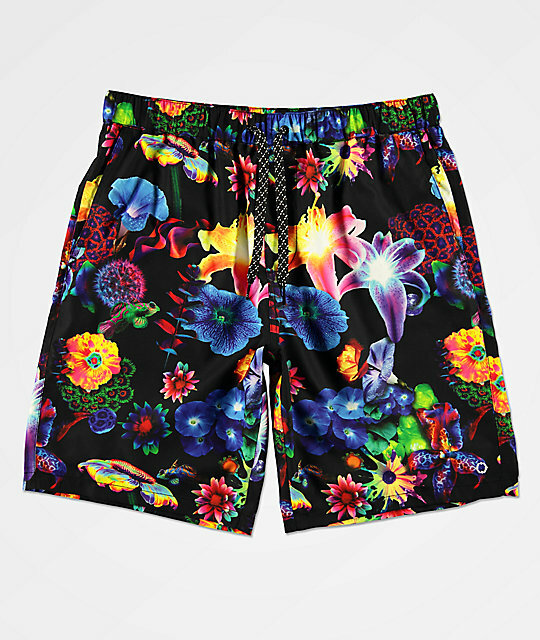 Moisture-wicking & quick-drying nylon swim trunks. Slash hand pockets with concealed zip closure. Right seat hook & loop fastened pocket with bungee key loop.